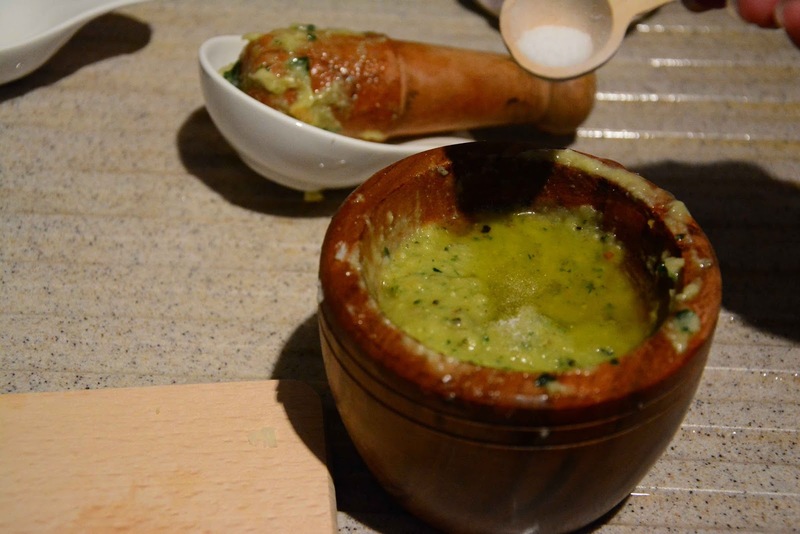 The Paris Feast: Pesto Sauce with a Sicilian twist. 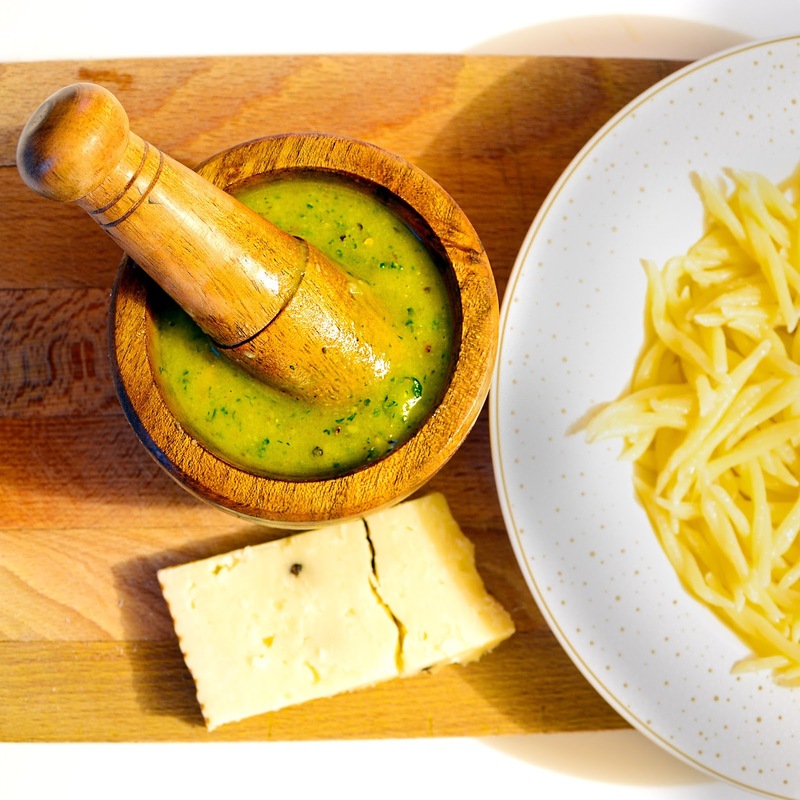 Pesto is a sauce that originates from Genoa in Northern Italy. Its name comes from the Genoese term “pesta” which means to crush. Traditionally the pesto is prepared by crushing the ingredients in a mortar through a circular motion of a wooden pestle. 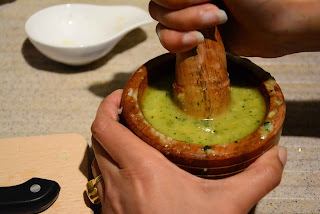 So I also prepared the sauce in the traditional way, thus using my new wooden mortar-pestle. 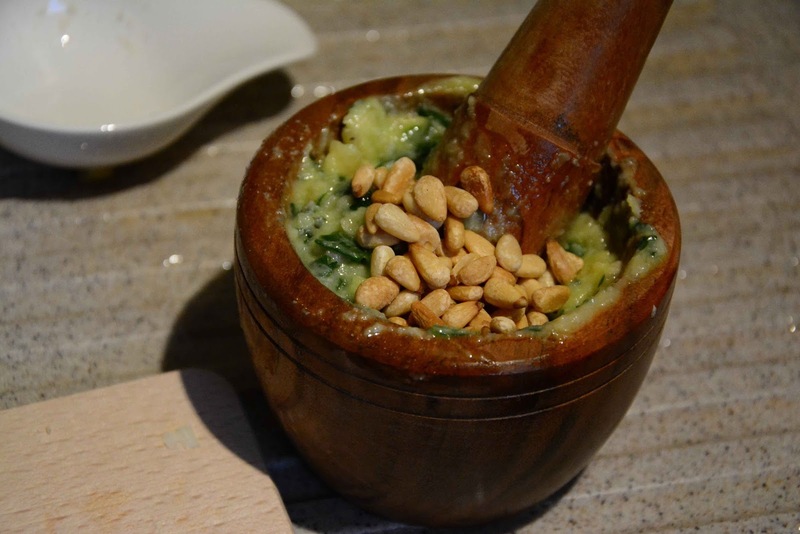 The main ingredients are crushed garlic, European pine nuts, basil leaves and two types of Italian cheese. Let me briefly mention the cheese before plunging into the recipe. The first is the famous Parmigiano-Reggiano or Parmesan. In the European Economic Area, the parmesan has a geographic protection and means only the cheese produced in the provinces of Parma, Reggio Emilia, Bologna, Modena and Mantua. Here it is made from unpasteurized cow's milk. However other similar varieties of cheese can be found outside Europe which are also called the Parmesan and can be used for pesto. The second cheese used for the Genoese pesto is the Pecorino Sardo. Pecorino refers to hard Italian cheese made from sheep’s milk and pecorino sardo originates from the island of Sardinia. Pecorino Sardo is somewhat difficult to find outside Italy and so I used another sheep’s milk cheese, however originating from Sicily, called the Pecorino Pepato. 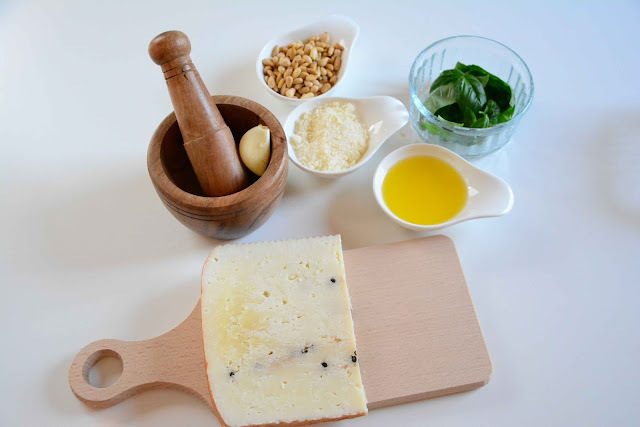 Outside Italy, Pecorino Romano (also from Sardinia) is quite popular, however I did not use it because it is sharper in flavor and more salty than the one required for the pesto, which must be rich and smooth in flavor, thus the Pecorino Pepato. So here is the recipe for the typical Italian sauce, the pesto. 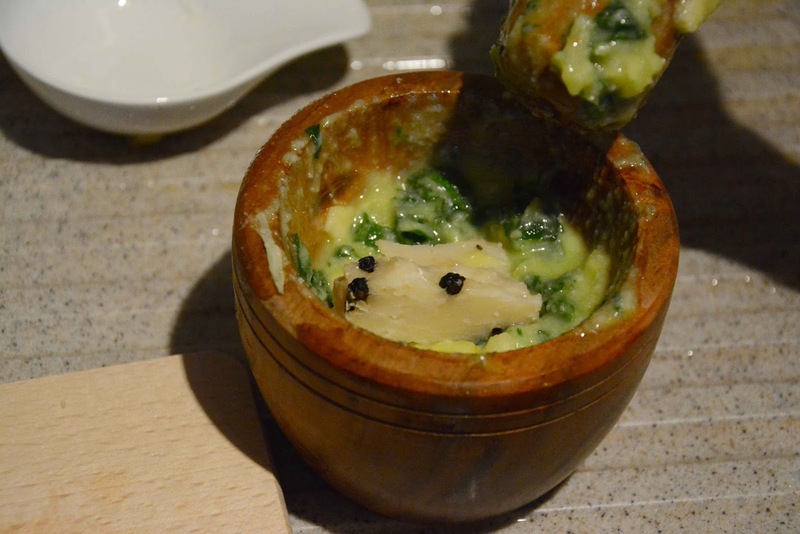 Take the garlic in a mortar and crush it with the help of a wooden pestle. 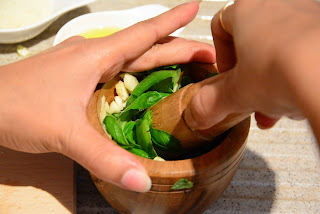 When the garlic is crushed, add the basil leaves and slightly crush them. 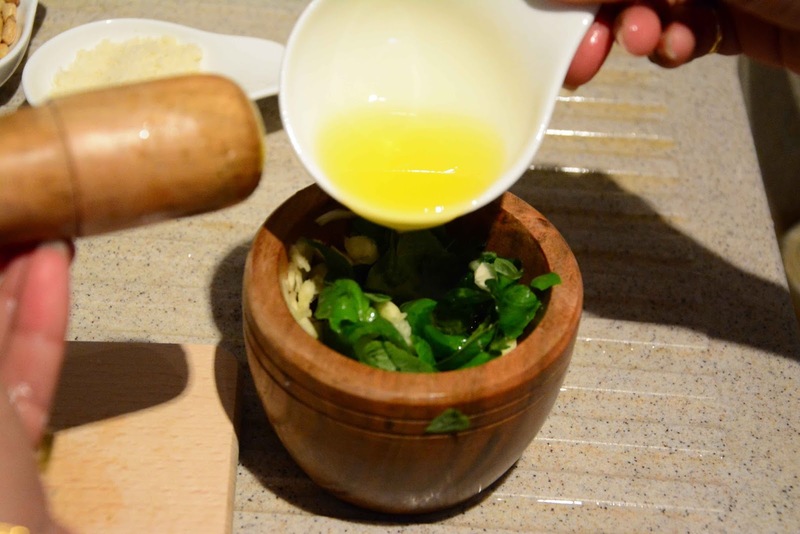 Add 1/8 cup of olive oil to the mortar. Crush all the ingredients together and mix them well. 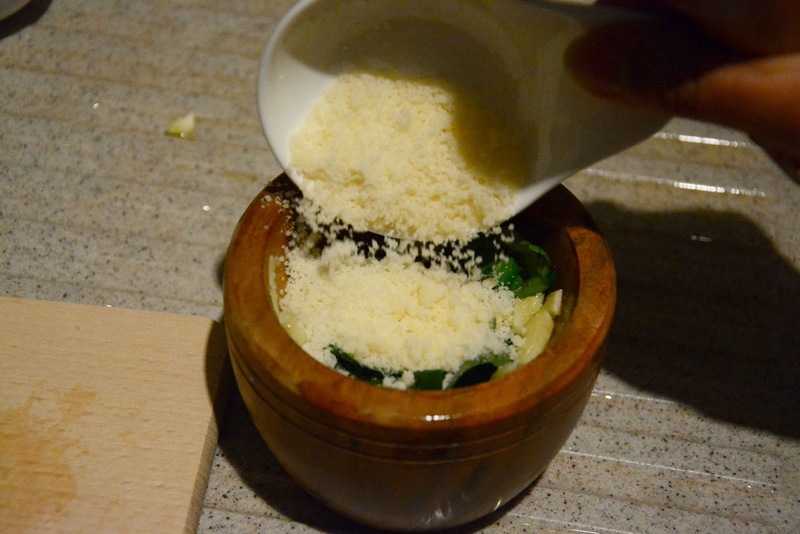 Break the Pecorino pepato into small cubes and add them to the mortar and crush. Add the pine nuts, crush them and incorporate them nicely into the mixture. 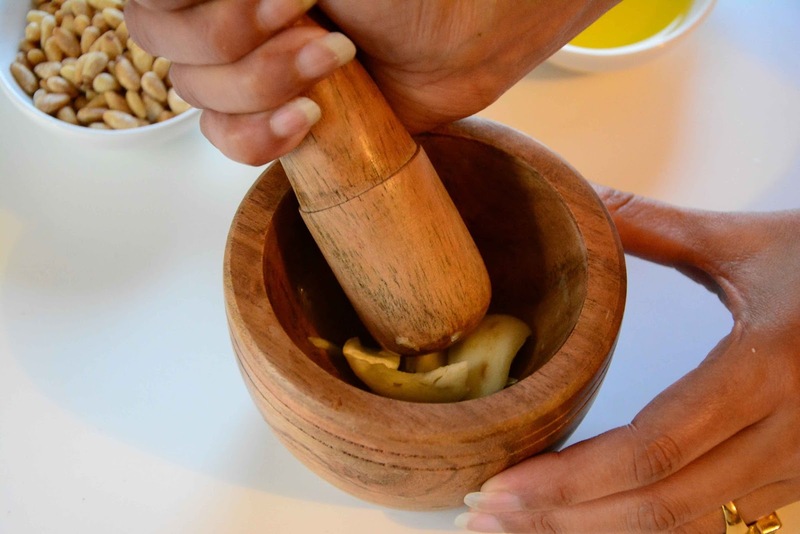 Slowly add 1/8 cup of oil and mix it with the paste by turning the pestle in a circular motion. Add the salt and mix it well using the pestle. The final sauce should look like this. If it is too thick you can add some oil, if it is too thin add some cheese. You can serve the pesto sauce as a topping for pastas. After some research I realized that the best type of pasta for the pesto sauce is the Trofie which also originates from Genoa like the pesto sauce. 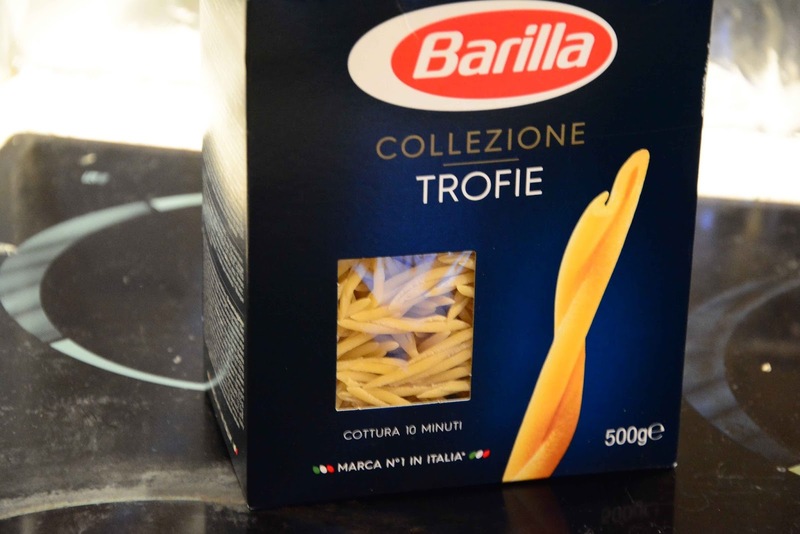 It is short thin twisted pasta and is traditionally served with pesto. My logic tells me that any short twisted pasta will go well with the pesto because it can be well covered with the sauce which however is quite viscous in consistency. Hollow pastas like the penne will not have the pesto in the cavity and thus will not taste as good. But of course it is up to you to choose your pasta and enjoy the thick rich greenish delight as you wish. 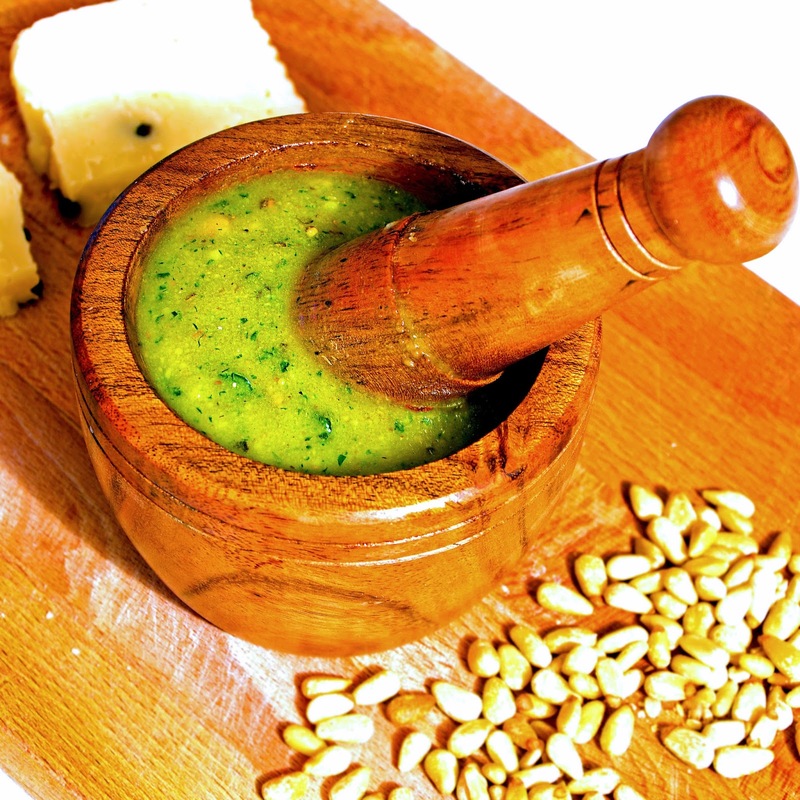 Pesto is a sauce that originates from Genoa in Northern Italy made with basil, pine nuts, garlic and two typical Italian cheeses. Here is my recipe using the tradition method of mortar-pestle. 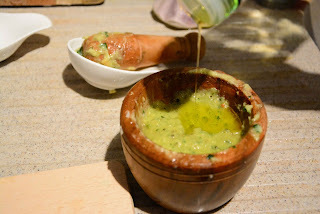 Add 1/8 cup of olive oil to the mortar. Add the grated parmesan cheese. I was thinking about pesto sauce the other day with intention to find the recipe - are you reading my mind? :) This recipe looks very interesting, I am totally trying it as soon as possible, thanks for sharing!